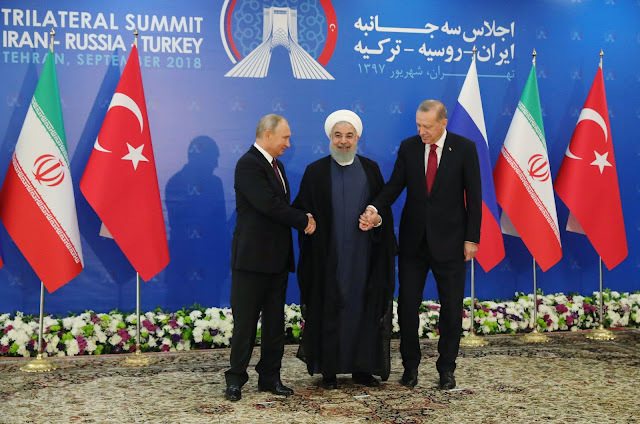 The presidents of Iran, Russia and Turkey met Friday to discuss the future of Syria as the looming Idlib offensive is on the horizon. The three leaders forged co-operation together without the need of United States or western interference. Turkish president earlier on said: “Above all, our cooperation with Russia right now is really important.” Turkish Defense Minister Hulusi Akar and the chief of National Intelligence Agency (MİT) have recently met their counterparts in Russia to talk about the latest developments in Syria. Apart from military-to-military as a solution, Erdogan praised diplomatic efforts made by Moscow, Tehran and Ankara to make peace in Syria. The Syrian army offensive on the terrorist ''hot-bed'' Idlib, Turkish President Recep Tayyip Erdogan vowed cooperation with Russia to prevent a “serious massacre” and a millions-strong refugee influx into his country. A massive operation to retake Idlib from Islamist militants might see scores of refugees trying to find shelter in Turkey. Putin warned militants in Idlib for the planned “provocations,” possibly including chemical weapons usage, in order to stir up international outcry and use it as a pretext for US and allies to intervention. Rouhani demanded an immediate withdrawal of all American forces from Syria to pave a lasting peace in the country. Currently, U.S. has over 2,000 troops active in Syria. He added that “we have to force the United States to leave (whether diplomatic or by force). The three nations attending a Trilateral Summit in Tehran each has its own unique interests in the 7 years long war in Syria. Iran wants to keep its foothold in the Mediterranean region and contain most nations neighbouring Israel and Lebanon. Turkey, which strongly opposing Syrian President Bashar Assad, fears the flood of refugees fleeing a military situation in Syria to Turkey. Edorgan also doesn’t want to see another Kurdish-controlled state rise along his border, as already faces YPG in northern Iraq. The large-scale war will contribute to the economic pressure, humanitarian crises and instabilities. 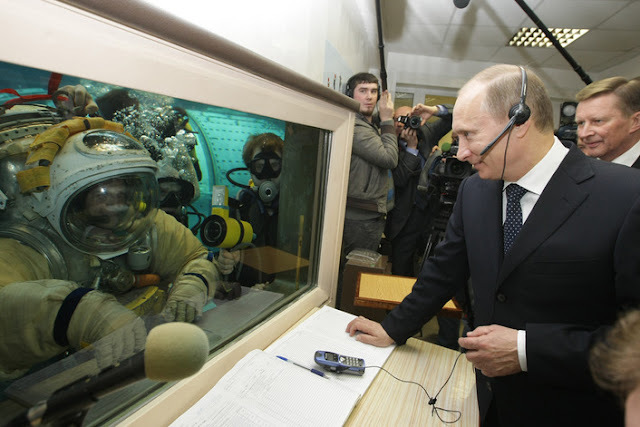 Russia's objective is to maintain its geopolitical presence in filling the vacuum left by America’s uncertainty and hegemony that drove the whole region into conflict. The Pentagon and its shady world C.I.A. have poured more than $1 billion in the secretive program to create internal insurgencies and terrorism in Syria. The reports that C.I.A.-supplied weapons that had ended up in the hands of a rebel group tied to Al Qaeda and ISIS. The program suffered a sudden death when President Trump took over. The Idlib province and surrounding areas are home to about 3 million people — nearly half of them civilians displaced from other parts of Syria. That also includes an estimated 10,000 hard-core insurgencies, terrorists, mercenaries including al-Qaida-linked militants. Russia and Iran, both allies of the Syrian government, pledge to retake Idlib, which is crucial to complete military victory in Syria’s civil, Syrian troops have recaptured nearly all other major towns and cities, largely defeating the rebellion against Assad. For Turkey, the stakes couldn’t be cherishable since Turkey already hosts 3.5 million Syrian refugees and has sealed its borders to newcomers. It has also now created control zones in northern Syria and has several hundred troops deployed at most 12 observation posts parallel Idlib to counter militia incursion into Turkish territory. Any massive assault will create a nightmare scenario of potentially hundreds of thousands of people, including militants, fleeing toward its border and destabilizing towns and cities at the northern Syrian border. Naji al-Mustafa, a spokesman for the Turkey-backed National Front for Liberation, said Friday his fighters were prepared for a battle that they expect will spark a major humanitarian crisis. “The least the summit can do is to prevent this military war,” he said. Early on Friday, a series of airstrikes struck villages in southwest Idlib, targeting insurgent posts and killing some few militias, said Rami Abdurrahman, the head of the Britain-based Syrian Observatory for Human Rights.